Plus a weekend bonus recipe! 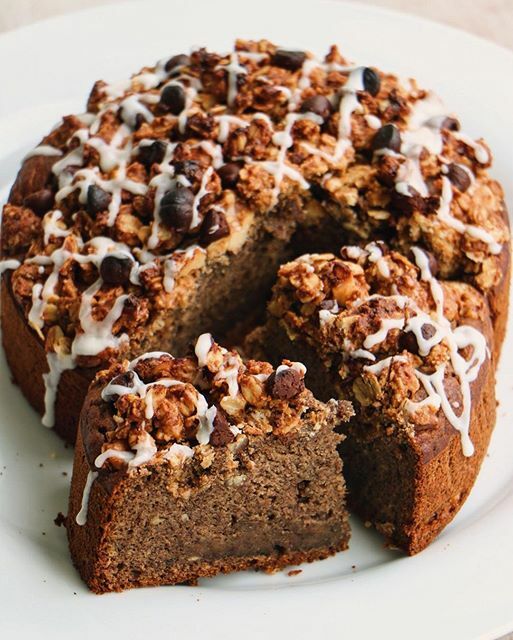 6 easy weeknight dinners plus a brunch-worthy coffee cake! Sometimes, a simple pasta dinner with red sauce just isn't quite enough. 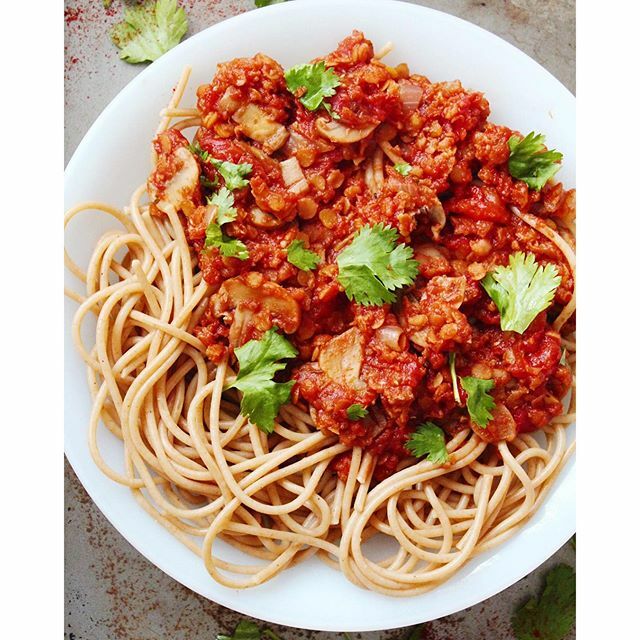 This hearty lentil bolognese strikes the perfect balance between a starchy bowl of noodles and a protein-rich sauce. 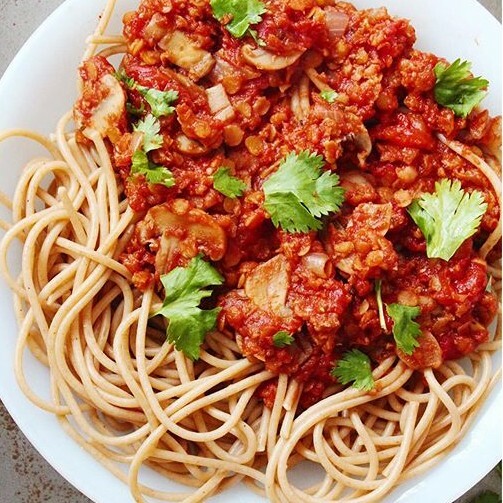 Feedfeed Tip When cooking with tomato paste, it's important to...cook it. Forgetting to heat this paste fully through is a common mistake for home cooks. Remember, the tomatoes are not cooked in a paste, so to avoid that raw flavor, make sure to heat and fully cook the paste in your sauce. 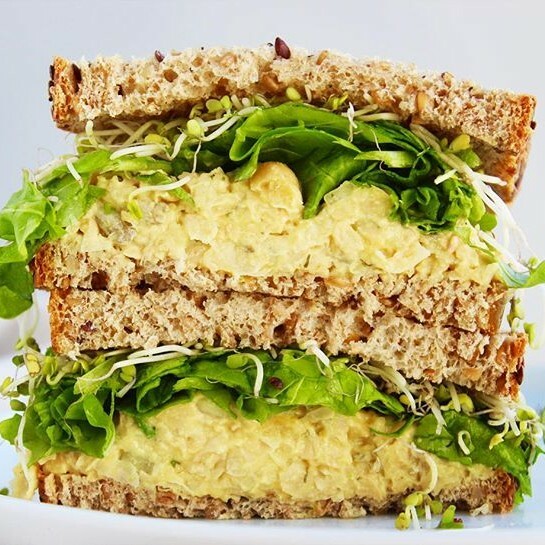 This mashed chickpea concoction is just as filling as it is flavorful, and makes for an easily packable lunch the next day. 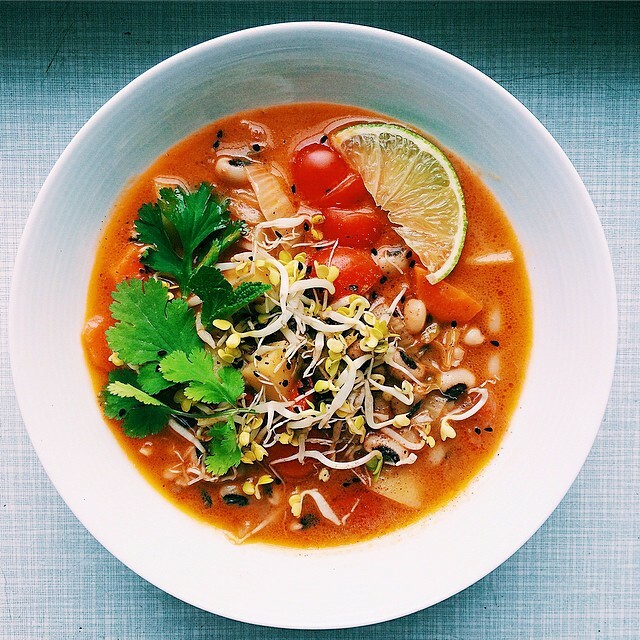 Feedfeed Tip If you don't have cashew mayonnaise, you can substitute it with vegan yogurt or vegan sour cream. This simple curry has everything–hearty black eyed peas, fresh mint, warm cinnamon and cloves, creamy coconut milk, and a pinch of black sesame seeds. The best part is that the flavor only gets better with leftovers. Feedfeed Tip Frying whole spices is a great way to extract tons of earthy flavor. If you don't have whole cloves, cinnamon sticks, or star anise, you can always use their ground counterparts, although the flavors may not be as vibrant. 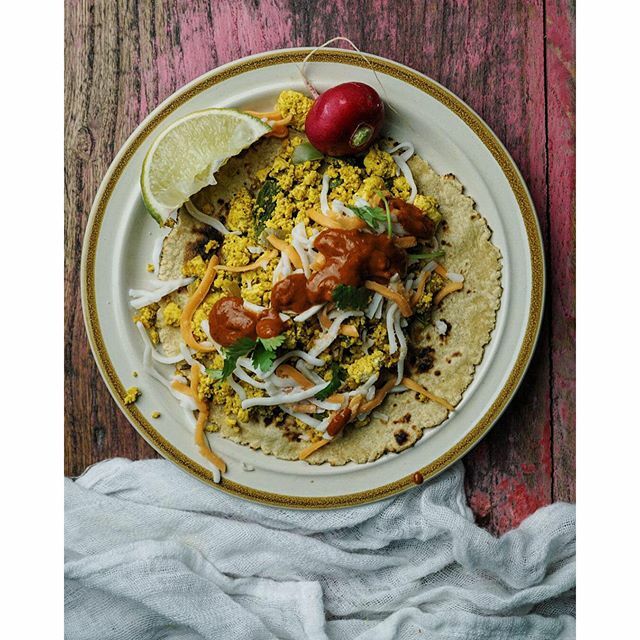 Searching for your new favorite vegan taco recipe? We've got just the thing in mind. Get your favorite taco toppings ready and start warming your tortillas, because you deserve to go all out for this yummy taco dinner. Feedfeed Tip When chopping jalapeños, it's important to wear gloves or to make sure that you wash your hands immediately after. If you rub your eyes after coming into contact with the hot pepper, it can easily cause burning, redness, and irritation, so handle with caution! Think of this salad as the ultra-fresh dinner that you can fall back on when you're craving something green and flavorful, fast. 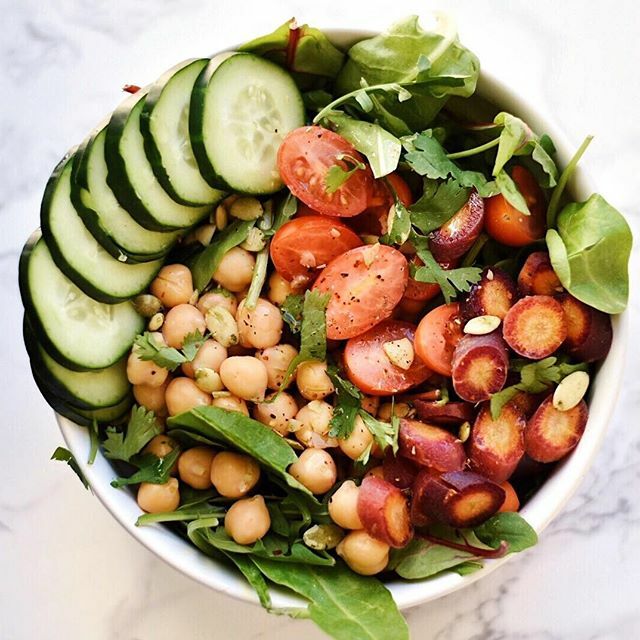 Feel free to substitute whatever vegetables or legumes you might happen to have on hand, as this one-size-fits-all salad can be tweaked to however you like it. Say hello to the king of all stir fries. On top of the fact this this is a delightfully tasty dinner, but you can easily have any leftovers for tomorrow's lunch. Smoked paprika, maple syrup and soy sauce combine for that signature, comforting flavor of BBQ sauce. 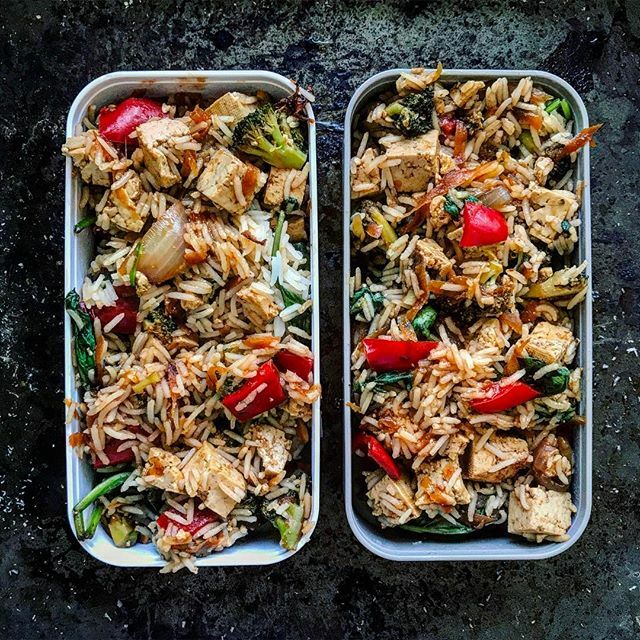 Feedfeed Tip Struggling to perfect your rice-cooking skills? Instead of relying on the absorption method, try cooking your rice like you do pasta. Bring a large pot of water to a boil, cook your rice to your desired doneness, and drain the rice when you're done. If there is one thing that we can definitely guarantee, it's that this coffee cake is going to make your home smell amazing. If you're planning on shopping in the beginning of the week, buy bananas that will be overripe by the time you get around to making this, as the riper the banana is, the sweeter the cake will be.